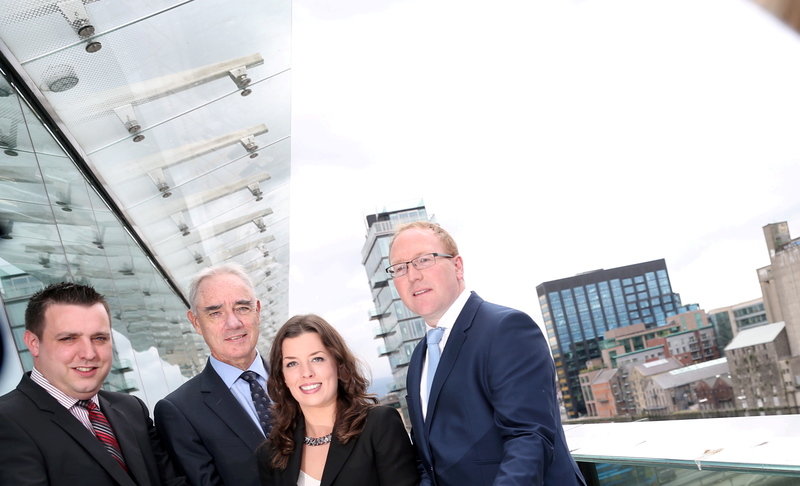 Repro Free: From Left: William McNamara, Business Advisor, Bank of Ireland Lexlip; Michael Moriarty, Manager of Financial & Enterprise Software High Potential Startups, Enterprise Ireland; Helen Norris, Kernel Capital & Brendan Casey, CEO, swiftQueue. Picture Jason Clarke. swiftQueue Technologies Limited, a Dublin, Ireland-based provider of healthcare appointment software, raised €550k in funding. The round was led by The Bank of Ireland Seed and Early Stage Fund, managed by Kernel Capital, which made a €300k investment, with participation from Enterprise Ireland. Led by Brendan Casey, CEO, swiftQueue has developed a platform that enables patients of hospitals and clinics across the UK National Health Service (NHS) and Health Service Executive (HSE) in Ireland to book their appointments online. The SaaS solution will deliver over 1 million online appointments this year for customers including Royal Free London NHS Trust; George Eliot Hospital NHS Trust, St. James’ Hospital and The Mater Misericordiae University Hospital. The company currently employs 10 people and is planning recruitment of new key hires over the next twelve months to support these growth plans.